A thermal image of home designed by Julie Torres Moskovitz, Fabrica 718. The structure consumes 90% less heating energy than the average home. The potential savings from conversion to energy-efficient buildings in the United States are $1.2 trillion by 2020 (McKinsey 2009). However, the renovation and retrofit market for construction projects under $5 million is severely hampered by a lack of available construction loans from the conventional banking system. The higher costs involved in originating, underwriting and servicing loans of this size and their lack of standardization sharply reduce their profitability for banks. This problem, faced by all construction activity, is especially consequential from an energy efficiency perspective because the worst of the current energy inefficiency is associated with smaller residential and/or commercial buildings. 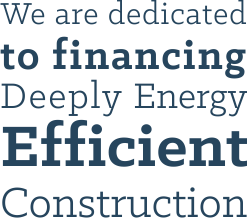 Through our financing unit, BuildForward Capital LLC and our architectural advisory company, BuildForward Design LLC, we aim to deliver deeply energy efficient buildings, financing their construction at interest rates that are competitive to the borrower and attractive to lenders. 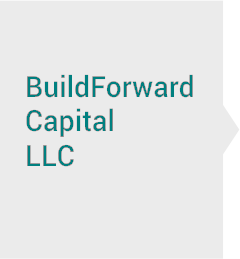 BuildForward has created a platform to originate loans specifically for the small construction loan market with a mission to fund only high energy efficiency projects. We use a high net worth version of “peer-to-peer” lending adding the safety of lending against secured, high-value real estate. Lenders will have a meaningful impact on the carbon footprint of U.S. building stock, while earning an attractive risk-adjusted interest rate on their loan. 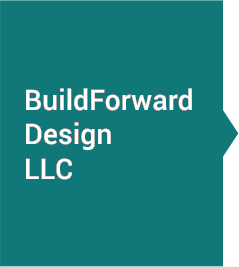 The architects at BuildForward Design LLC oversee every BuildForward project in order to ensure that renovations are designed and executed in accordance with the industry’s highest standard of energy efficiency. In order be considered for funding through BuildForward, a project’s modeled and actual energy saving performance will have to meet a set of base criteria. In addition to the energy impact, the BuildForward system encourages new construction and renovation projects to employ ecological design principles whenever it is practicable. All our design philosophy is embodied in the BuildForward Construction Criteria Manual which is available to borrowers on request.